4. 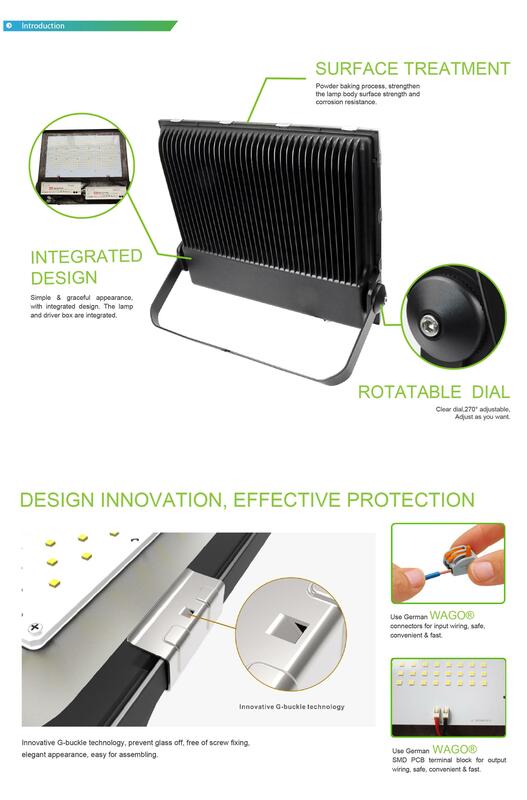 5 Years Warranty Outdoor Lighting 110lm/w SMD3030 LED Flood Light 300W's size and ISO Illumi nation data. 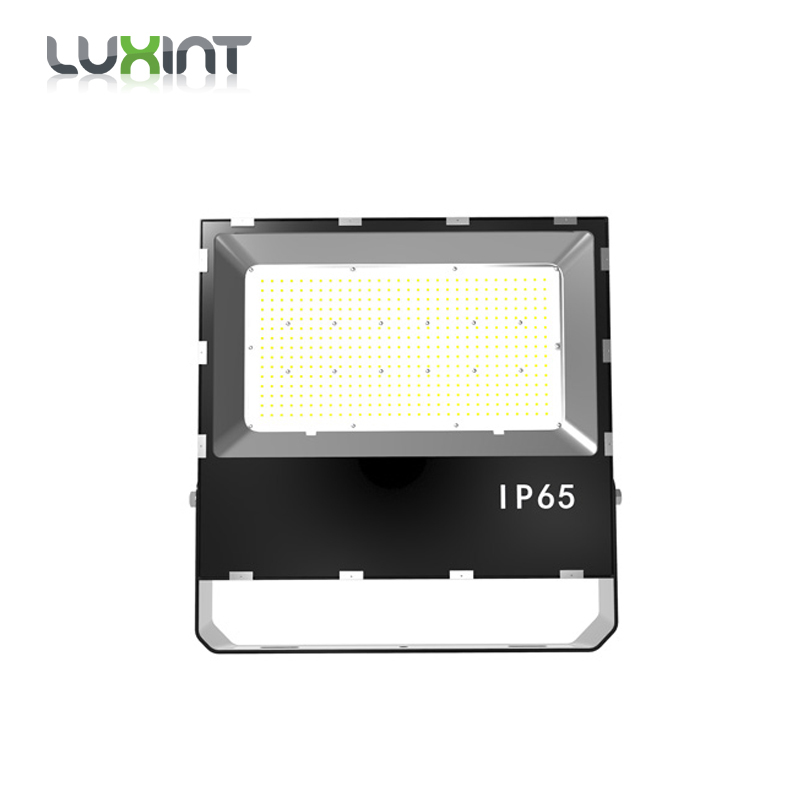 5 Years Warranty Outdoor Lighting 110lm/w SMD3030 LED Flood Light 300W is certified by the third party authority. 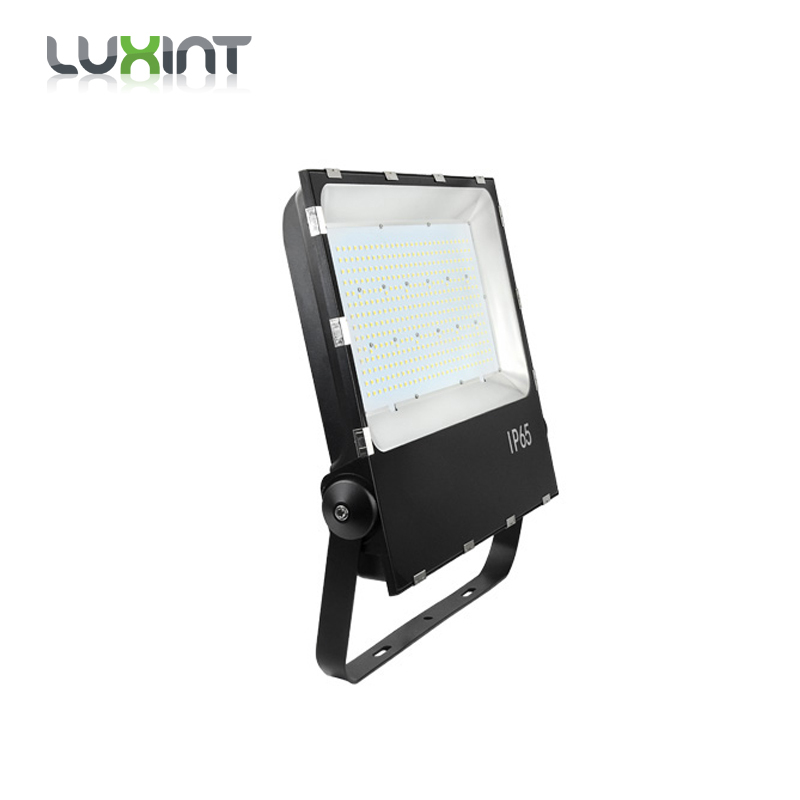 5 Years Warranty Outdoor Lighting 110lm/w SMD3030 LED Flood Light 300W have many uses, generally used in squares, court or field. 1. 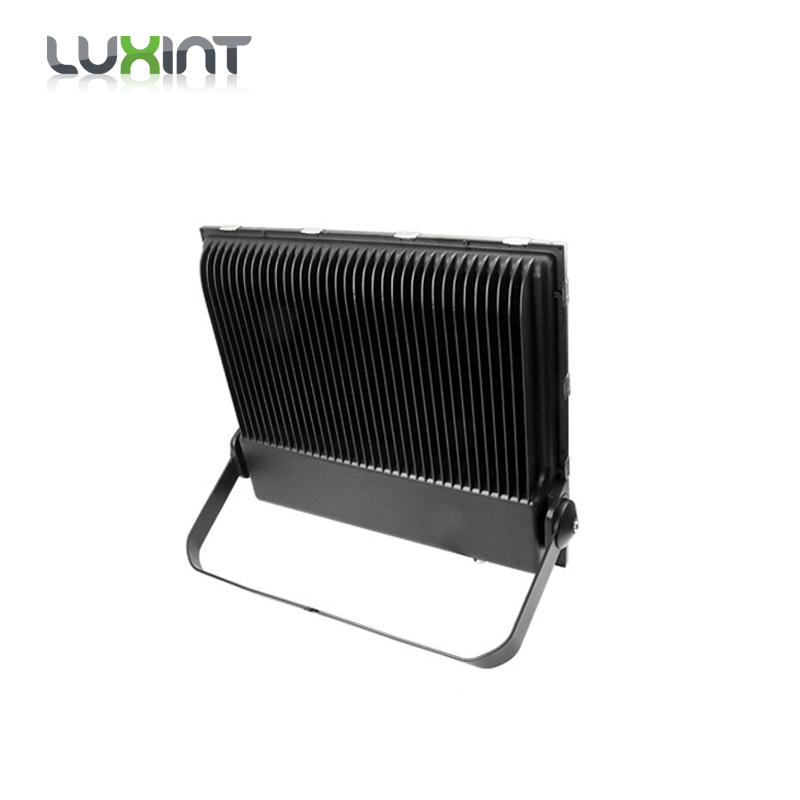 Customer specified logo can be printed on 5 Years Warranty Outdoor Lighting 110lm/w SMD3030 LED Flood Light 300W, OEM, ODM are welcomed. 3. 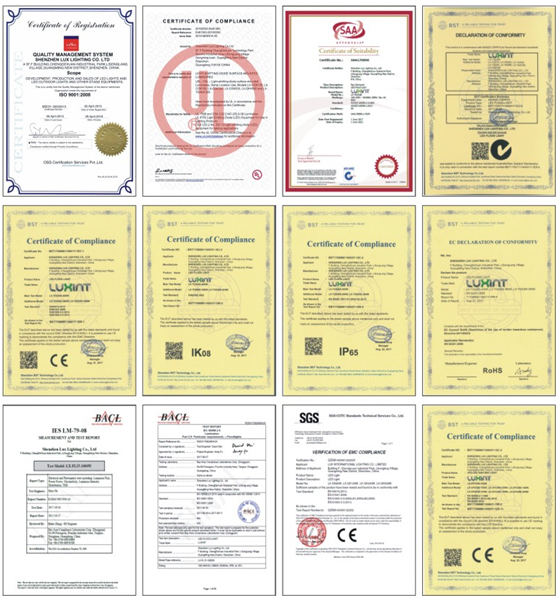 3-7 years warranty for all our products. Please contact me if you need our detail warranty term. 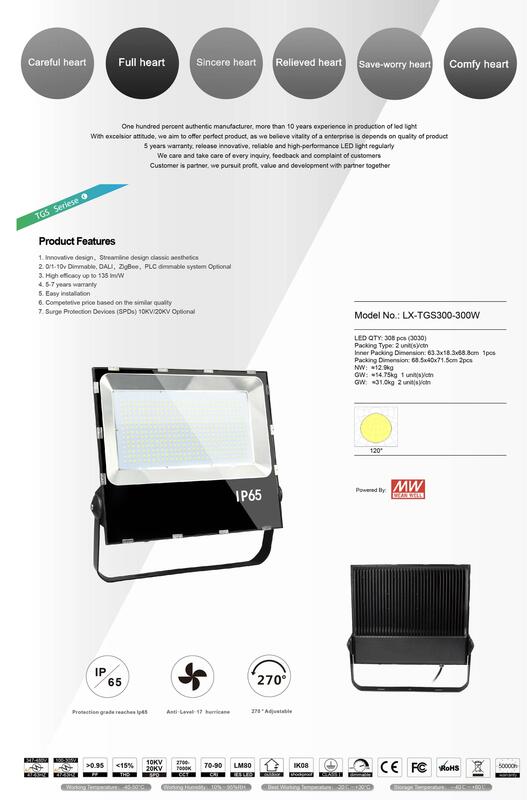 Answer: 3-5 years warranty is offered depending on different types of lights. 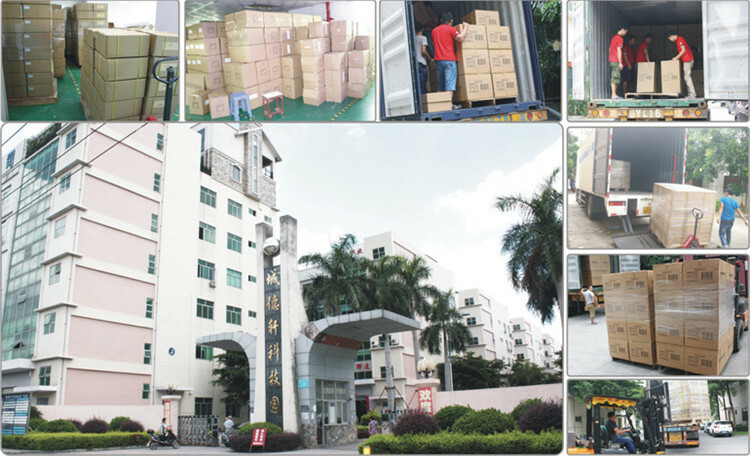 If item fails due to quality problem during warranty, we can send new replacement with freight on ours immediately if urgently. Or we prefer to send replacement with next order. 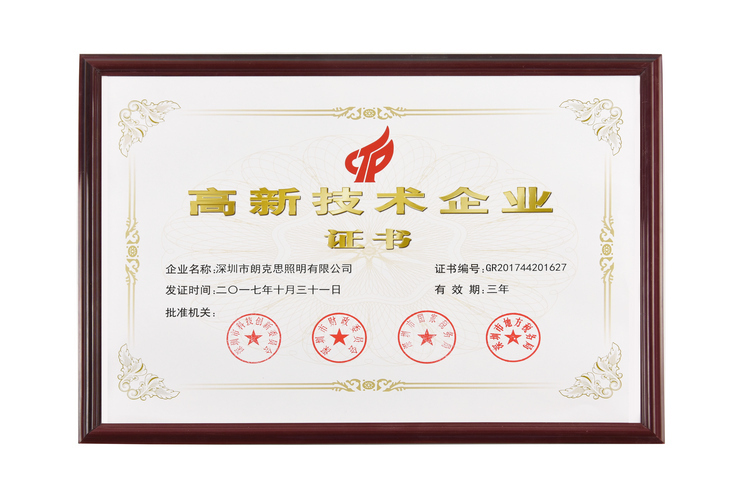 Answer: For sample order, we can accept T/T, Paypal, West Union, L/C, 100% in advance. For bulk order, 30% deposit in advance by T/T, balance before shipping. For very big order, L/C is negotiable. Answer: Sample is available in 5 working days, Big order is avilable normally in 6-15 days after deposit received . Answer: We ship goods by UPS/DHL/FEDEX/TNT express which takes 5-7 days to arrive, or by air cargo which takes about one week to arrive, or by sea which takes about one month to arrive, depending on your actual requirements. 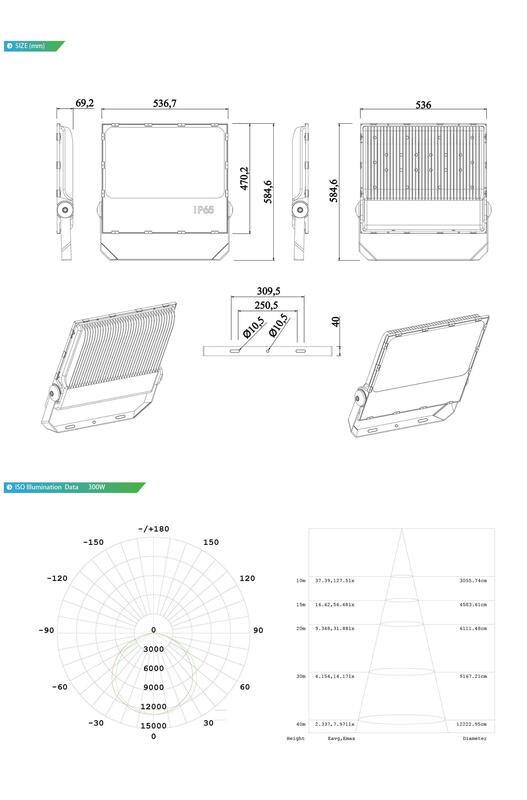 I am William, if you like it, welcome to sent me a inquiry; any questions, please feel free to contact me! 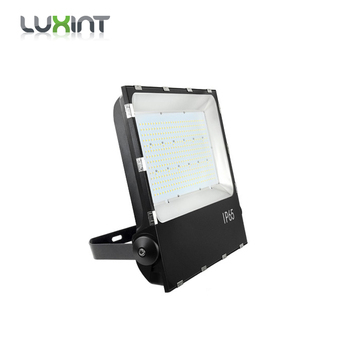 And at last, thanks for your valued time to read our 5 Years Warranty Outdoor Lighting 110lm/w SMD3030 LED Flood Light 300W.